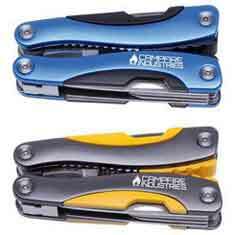 At Prime Promotional Products we stock a wide range of quality multi tools, tool sets, tape measures, scale rules, knives and torches. 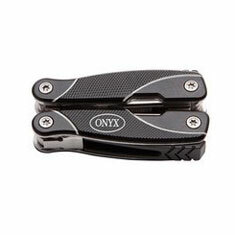 These stylish products are specifically designed to promote your brand. Give these products to your clients and prospects and they will not only be amazed by your generosity but will also contact you next time the product or service you are offering is needed. 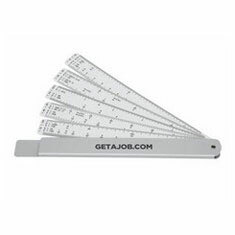 As all of our promotional tools, torches and tape measures are imprinted with your company logo or promotional message, your goodwill gesture will never be forgotten. If you can’t find what you’re looking for on this website, please give us a call as we have hundreds more products to choose from. Contact us now and let our experienced team members send you out a no obligation sample as it is our aim to make your promotional product ordering easy. 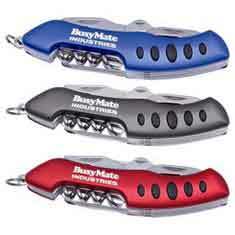 Measure-Mate aluminium scale rule has a large print area and 5 pull-out rulers featuring 19 different scales. This product can be printed in full colour for maximum impact. 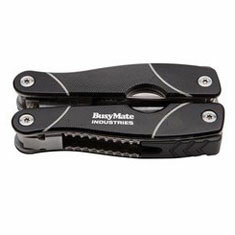 This handy tool with 6 screwdriver bits also includes a light and pocket clip and is ideal for small jobs around the office or home. Available in black, red or blue. 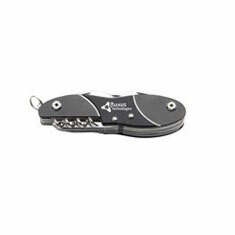 This feature packed 12 function pocket knife has a stylish Aluminium handle with diamond pattern knurling for extra grip. 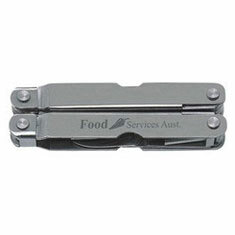 This quality stainless steel knife combines 12 functions with a stylish aluminium body and rubber trim. 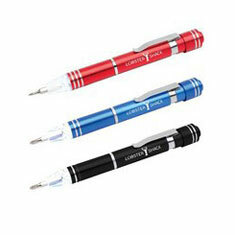 Available in metallic grey, blue or red and supplied in a deluxe nylon pouch. 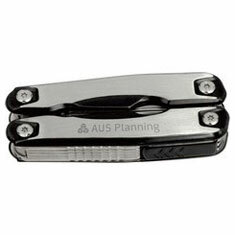 Constructed from Stainless Steel, this top of the range multi tool combines all the standard features with a unique 11-piece screwdriver set. Supplied in a nylon pouch. 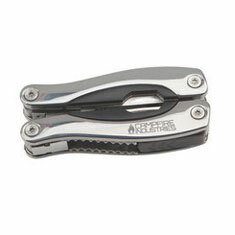 This 12 function mini multi tool measures only 65mm in length. Available in metallic grey or blue and supplied in a deluxe nylon pouch. 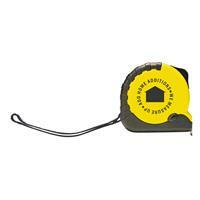 Displaying both metric and imperial measurements, this rubber grip tape measure will span up 5 metres and includes a rugged metal belt clip and carry strap. 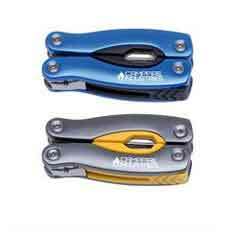 This feature-packed multi-tool has thirteen functions in a compact design. Supplied in a deluxe nylon pouch.